Four years ago her older sister Cho Hyun-ah made global headlines for angrily kicking a cabin crew member off a plane after being served macadamia nuts in a bag rather than a bowl -- an incident quickly dubbed "nut rage". Following the incident Cho sent a wide-ranging apology by email to "every single person at the advertising agency and Korean Air employee that I have worked with." "I was so absorbed by my passion for work that I could not restrain my reckless remarks and actions, leaving many people deeply disappointed and hurt," she wrote. But her apology has failed to placate many in South Korea, where hugely powerful family-run conglomerates have long been dogged by criticism of their founding families' brash behaviour. A Korean Air labour union expressed "indescribable regret" over Cho's behaviour. "Because of the latest controversy ... some 20,000 workers who have worked so tirelessly for the firm have become targets of public criticism," it said. 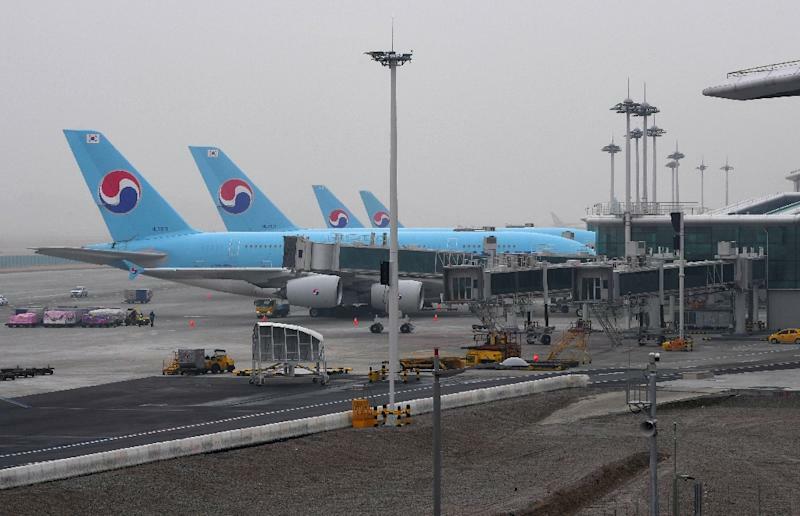 "Why should the Korean Air employees feel so ashamed?" The head of South Korea's ruling Democratic Party urged the ouster of Cho -- a granddaughter of Korean Air's late founder and daughter of the current chairman Cho Yang-ho. "We should no longer see these unqualified, unethical scions (of the founding families) getting a free ride into the top management," Choo Mi-ae said Monday. Korean Air has partially disputed media reports, saying Cho "only threw a cup with water onto the floor" but on Monday suspended Cho from her duties. The 2014 "nut rage" incident saw Cho Hyun-ah, then the firm's vice president, forcing two flight attendants to kneel and beg for forgiveness on a Seoul-bound flight from New York before ejecting one of them out of the plane before takeoff.